The China Debt $1.5 trillion, Is there a problem? It is a mystery. US analysts and rating agencies are increasingly worried about Chinese debt problem. But try and hunt as much as we do, we cant find a rationale for this. Local governments had an overall debt of 10.7 trillion yuan ($1.65 trillion) by the end of 2010, said China’s top auditor on Monday in a report to the National People’s Congress. Among the debt, local governments have an obligation to repay 6.7 trillion yuan, or more than 62 percent of the total debt, and they underwrote loans of 2.3 trillion yuan, nearly 22 percent of total debt. Local governments and their subsidiaries made about 23.3 percent of the lending, while 46.4 percent of the loans were made through financing vehicles, with eight billion yuan of loans now overdue. 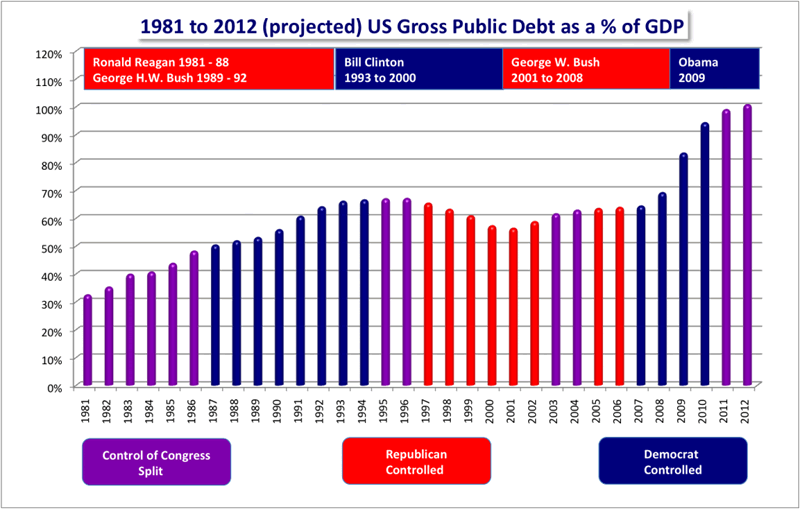 The total or gross national debt is the sum of the “debt held by the public” and “intragovernmental” debt. As of February 2011, the “debt held by the public” was $9.6 trillion and the “intragovernmental debt” was $4.6 trillion, for a total of $14.2 trillion. 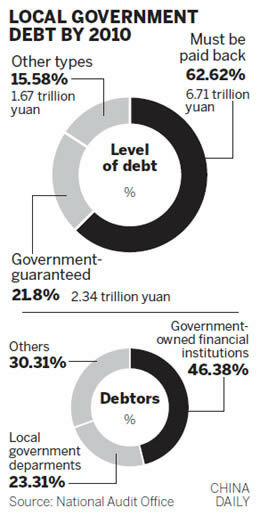 The governmental debt of ~4.6 trillion (Climbing) represents nearly 32% which is slightly higher than China. But the US is an economy which is growing at 2% while China is growing 9% and the old adage goes, debt in a growing economy is to be welcomed. The US then has the soaring public debt (with nearly all household under debt) with nearly $9.6 trillion overall public debt. China does not have a figure to benchmark it public debt but analysts believe it is nearly $1.5 trillion equivalent to its government debt which makes China overall debt/gdp ratio close to 50% as compared to 120% for US. And yet mystically, analysts seem to believe that China is about to enter a debt trap! Bio: Worked with European Hedge fund for 7 years and now work on financial edition, The GMB post.